It all started with a mere public service announcement. On January 12th, Zimbabwean President Emmerson Mnangagwa made a national announcement that Zimbabwean fuel prices would be increased significantly in the wake of the nation’s staggering petrol shortages. Since this announcement, petrol prices have been raised from US$1.21 a liter to a whopping $3.32, the highest price of any country by $1.26. This announcement came after months of disheartening shortages, where Zimbabweans were reportedly forced to wait hours in line at gas stations in the hope for fuel. Despite grappling with these shortages for months, Mnangagwa’s move to raise petrol prices sent shockwaves throughout the nation, catalyzing mass riots for three days. At the centre of these riots stood the Zimbabwe Congress of Trade Unions (ZCTU), partnered alongside other non-government organizations, who urged for a nationwide shutdown via social media, utilizing the hashtags #ShutDownZimbabwe and #ThisFlag. In response to many of the popular hashtags used by the ZCTU, Zimbabwean officials cut internet services to many social media and messaging services on day three of the protests, hoping to quell popular discontent and collaboration between protestors. Statistics show that this tactic has been increasingly prevalent in suppressing protests with more internet shutdowns every year for the past three years, as seen in the Hong Kong Umbrella Movement as well as the Democratic Republic of the Congo. While protests have subsided substantially from these tumultuous early riots, discontent is still palpable in Zimbabwe. Most recently, Zimbabwe school teachers have gone on a national protest, demanding better working conditions, higher pay in the wake of raising oil and food prices, and most pressingly, to be paid in US Dollars (rather than government bonds, which have continually lost value). Additionally, Mnangagwa’s political opposition, including the MDC Alliance’s Nelson Chamisa, has snubbed his invitation to a “post-election dialogue,” arguing that a conversation cannot be created until the government “stops citizens’ abuses, beatings and arrests,” and Mnangagwa calls a dialogue on neutral grounds. While riots and discontent still plague Zimbabwe, the nation has been in a precarious position for a while, and many of its domestic issues can be tied to their international standing. Most pressing, the United Nations imposed economic isolation of Zimbabwe, has been key to disrupting the nation’s growth. However, the reason for these sanctions is just, given the actions of both the current regime and the former rule of Robert Mugabe. Mugabe, President of Zimbabwe from 1987 to 2017, was infamous for his use of election tampering and human rights violations. In response to this, in 2002, the Commonwealth of Nations suspended Zimbabwe’s participation due to their unlawful seizure of agricultural land. 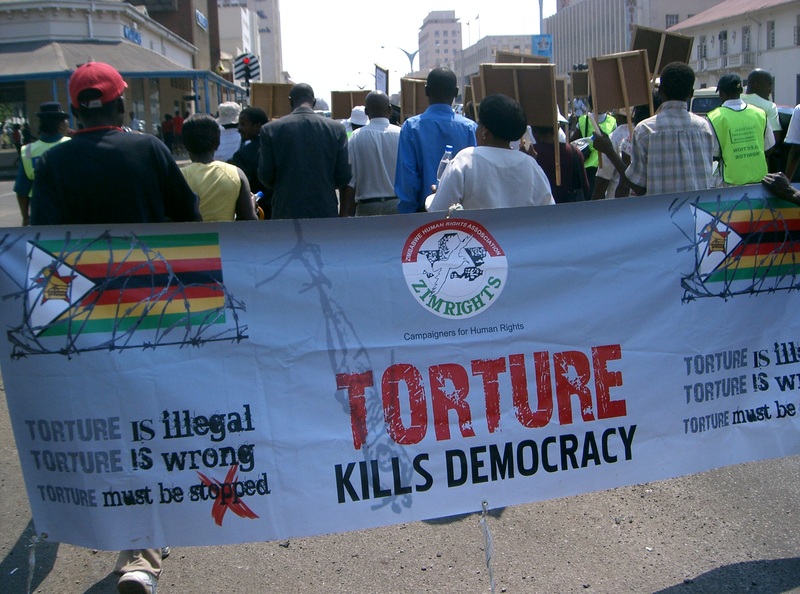 These sanctions were followed suite by a number of other powerful agencies such as the European Union and United Nations, with Britain’s foreign secretary David Miliband claiming that, “the sanctions … are designed very much to reinforce the drive for the transitional government that reflects the democratic will of the Zimbabwe people as expressed in the  elections”. Due to these multitudinous sanctions and embargoes, the Zimbabwean economy collapsed, causing 11 million Zimbabweans to flee the nation, while three-quarters of the remaining Zimbabweans live on less than one US dollar a day. One of the key symptoms of this was rampant inflation, which has risen from an annual rate of 32% in 1998 to 11,200,000% in 2008, according to the nation’s Central Statistical Office. Even now, in 2019, the nation’s inflation rate is still high at 42%. Things got so dire that in 2009, Prime Minister Mugabe was forced to abandon the nations currency in favour for the United States Dollar, despite the nation being in critically short supply of the necessary currency. The Zimbabwean people have spent years grappling with such turmoil economically and politically, but recent protests have spotlighted a renewed energy to catalyze change. Drastic changes have been seen before: after dominating the presidency of Zimbabwe for four decades, Mugabe was ousted in a 2017 coup, sparking hope that change had come to Zimbabwe. For many, that is why violent protests are such a necessity today: the people witnessed change, and now expect it. But it is unclear if this change will come with the current administration. For those tied to the ZCTU and the MDC Alliance, and for those who lost family in lieu of Mnangagwa’s violent suppression, a new regime is desired to catalyze change. Since the protests, for example, over 20 people have been arrested in plotting a coup to overthrow Mnangagwa. But on the other side of the coin, Mnangagwa and his regime believe that state-led change can be positive. For example, diplomatic schmoozing between President Uhuru Kenyatta of Kenya and President Mnangagwa has granted Zimbabwe the assurance of Kenya’s support to ensure that the sanctions imposed on the southern African nation are lifted. This endorsement signals that the president’s regime may have a key role in finding Zimbabwe’s future prosperity, despite their humanitarian missteps. While these two sides desire an implementation of change in very different ways, they share one common theme: hope for the future of Zimbabwe. Featured image by Sokwanele – Zimbabwe, via Flickr Creative Commons.